A la carte legal services allow a client to hire an attorney for specific tasks, as illustrated by these "unbundled" sticks. These are all examples of legal services than can be unbundled from a larger package, a method that’s gaining traction in rural areas, where there is a shortage of lawyers. Also known as a la carte or flat-fee, unbundled legal services offer clients a middle ground between having no help and hiring a lawyer for an entire case, though some attorneys question whether clients are getting what they deserve — and whether it’s a viable way to earn a living. Harvest Public Media's Amy Mayer explores how unbundled legal services could mean better access to attorneys for people in rural areas. Nationally, 60 to 80 percent of people don’t use legal representation for things like divorces, Skogerson said. 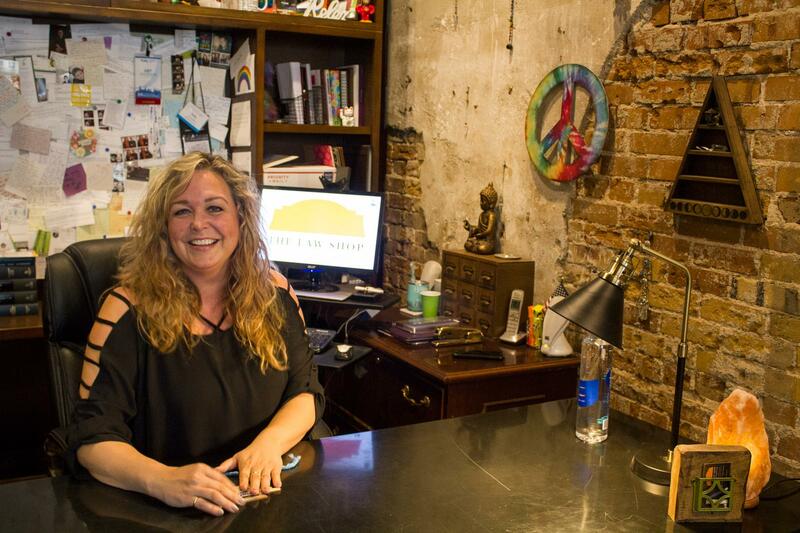 It’s a trend she and her business partner, Andrea McGinn, noticed happening locally. “And we started asking why that was,” she said. The reasons vary, but include being unable, or unwilling, to pay a hefty fee, living too far away from an attorney to establish a relationship or just wanting to be self-sufficient. Attorney Amy Skogerson has been practicing law for more than 15 years and recently shifted her business almost entirely to unbundled services. The idea of offering unbundled legal services goes back to the 1990s and a California family law expert, Forrest Mosten. It’s taken some time to catch on, but now, he said, technology can pair nicely with local services. “Because many of those areas are under-lawyered, and there aren't as many choices, and people are often self-reliant,” he said. There’s much they can do on their own, and then when they are ready and know what they need, a lawyer can help them finish. After some training and initial cases, Skogerson and McGinn decided to make unbundled services their standard way of doing business. Take a divorce, for example: If the client only needs help with a child custody worksheet or electronic filing, the lawyer will quote a price for exactly that. However capable people who choose to represent themselves are, McGinn said, they’re overwhelming the courts and sometimes just need a little help that is easy enough for a lawyer but daunting for someone without the legal knowledge. 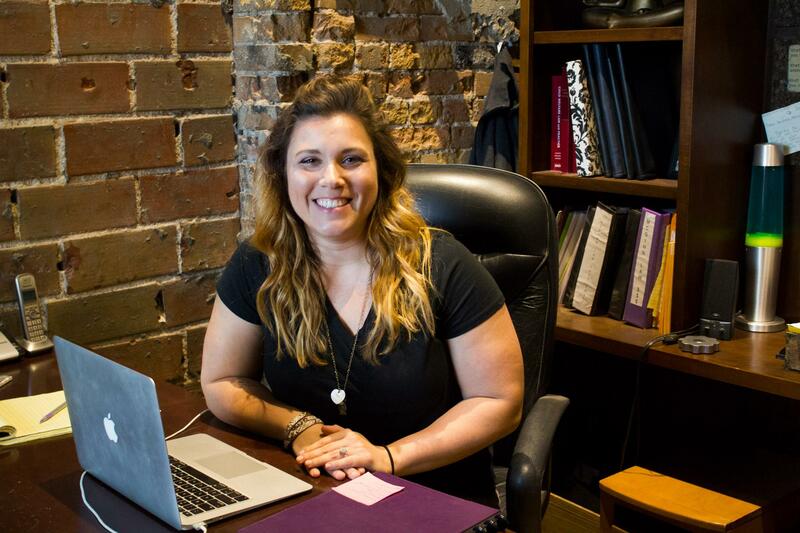 Within a few years of graduating from law school, Andrea McGinn formed a partnership with Amy Skogerson and The Law Shop was born. Now they hope to train other attorneys to offer unbundled, or a la carte, legal services in rural areas. When Jennifer Genovese was getting divorced in Adel, Iowa, several lawyers there and 30 minutes away in Des Moines gave her quotes of about $5,000, including mediation, court appearances and other things she didn’t need. “My husband and I at the time were getting along, so we wanted a fairly smooth, quick divorce,” she said. The price tags were so intimidating, she said she and her then-husband looked into divorcing without a lawyer. A local banker recommended she call Skogerson. Genovese and her now-ex met with Skogerson a couple of times. “She's the one that filled out that paperwork for us, which made our life so much easier, and she did all the legwork,” Genovese said. Plus, the cost was a quarter to a third of those early estimates, Genovese said, and her divorce was final in five weeks. Genovese didn’t have to go too far, but people who live in rural areas in the Midwest and Plains states might be hours away from an attorney. Iowa, Nebraska and South Dakota are among the states whose bar associations are actively trying to address legal access for rural areas. And where there are still attorneys in private practice, many are looking to retire. “As we're seeing fewer and fewer attorneys locate in rural communities, that access to justice issue is becoming more evident,” said Jennifer Zwagerman, the director of career development and associate director of the Agricultural Law Center at Drake University Law School. She’s launching a program to connect rural communities with students and recent graduates. Offering unbundled services might help someone get a practice started, Zwagerman said, but she cautioned it poses particular challenges for inexperienced lawyers. “One of the hardest things for a younger, newer attorney starting out with that type of flat fee or unbundled is figuring out exactly how long it takes to do certain things,” she said. McGinn got her start fresh out of law school working as a solo practitioner in Skogerson’s building, with the more experienced attorney providing mentoring and guidance. Now, the two partners are expanding their office space so their practice can grow. A 2018 law school graduate will occupy one of the new offices, and they are gearing up to provide trainings for other lawyers who want to incorporate unbundled services. Skogerson and McGinn emphasize that it can be part of a practice rather than the exclusive or primary focus. Their main goal is to help fill the growing rural access gap. A brick building that was the only grocery store in St. John, Kansas, sits vacant, its glass doors covered with paper since it closed early last year. St. John is the county seat of Stafford County in south-central Kansas, but it’s home to fewer than 1,300 people. Today, the closest grocery store is 12 miles away, in Stafford.